All aircraft must be free from flutter for flight safety and per civil and military airworthiness requirements. TLG performs the required certification aircraft flutter analyses for all required aircraft configurations and conditions. We also plan and participate in the required ground and flight testing and subsequent analysis. Flutter is an aeroservoelastic phenomenon in which unsteady aerodynamic forces combine with structural vibrations to produce a self-feeding oscillation which usually leads to airplane damage! We do aircraft flutter analysis to ensure that the aircraft is safe and free from flutter at all points in the flight envelope. What are the Regulatory Requirements for Flutter? The FAA as well as European Aviation Safety Agency (EASA) and other agencies requires the aircraft shows to be free from flutter for all nominal flight conditions and for critical combinations of failed systems and structures. All possible combinations of fuel, payload and operating conditions (such as holding ice accumulation) must be considered. Flight flutter tests must be performed for some of the conditions to demonstrate the accuracy of the analysis and to prove the airplane is safe to operate. Flutter is critically dependent upon airspeed because the dynamic pressure in the airstream provides the energy for the self-feeding oscillations. Therefore, we perform analyses at higher air-speeds than what other design aspects require. Not only do civil airworthiness regulations require this, but it also provides a margin of safety in speed. How are Flutter Calculations Made? 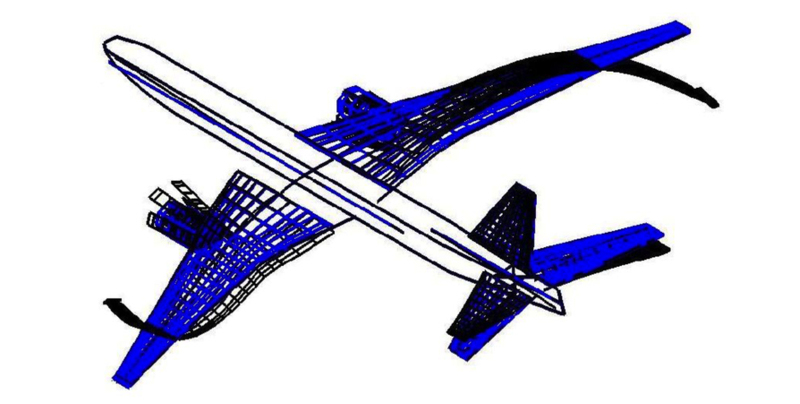 We model the airplane interaction between structural vibrations and unsteady aerodynamics using an engineering tool such as MSC.Nastran. These models show whether an airplane will respond in a stable or unstable fashion to an atmospheric disturbance. Stable responses will damp out over time and are not a problem. Unstable responses will grow, generally within seconds, and usually with serious results. How is Freedom from Flutter Designed into an Airplane? A flutter analysis shows which airplane types, or modes, of vibration result in flutter and at what airspeeds the flutter occurs. Flutter outside the analysis envelope is not a problem but flutter inside the envelope is. Variations in the analysis model can show which design changes we can use to improve flutter behavior. Typical design features that contribute to good flutter characteristics include: stiff, lightweight structure, mass-balanced or hydraulically stiffened control surfaces and structural mass concentrated toward the wing or tail leading edges. What Tests and Analyses are Performed? Engineers usually calculate airplane structural vibration modes with a Finite Element Model (FEM). 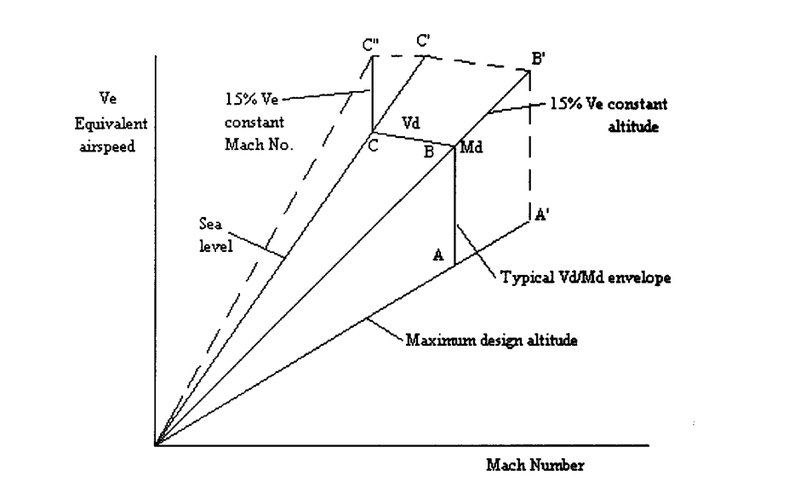 Validation of these models is from a Ground Vibration Test (GVT) of the actual as-built airplane or component. We validate the aerodynamic data taken from Computational Fluid Dynamics (CFD) and wind tunnel tests and during the airplane certification flight testing phase. We also conduct flight flutter tests during the certification flight tests. During these tests, the airplane is subjected to critical flight conditions (usually requiring a shallow dive) and control pulses or other means to excite structural vibrations, which are shown to have stable damping. The tests use speed buildup approaches and other flight test procedures to ensure flight safety during the tests.